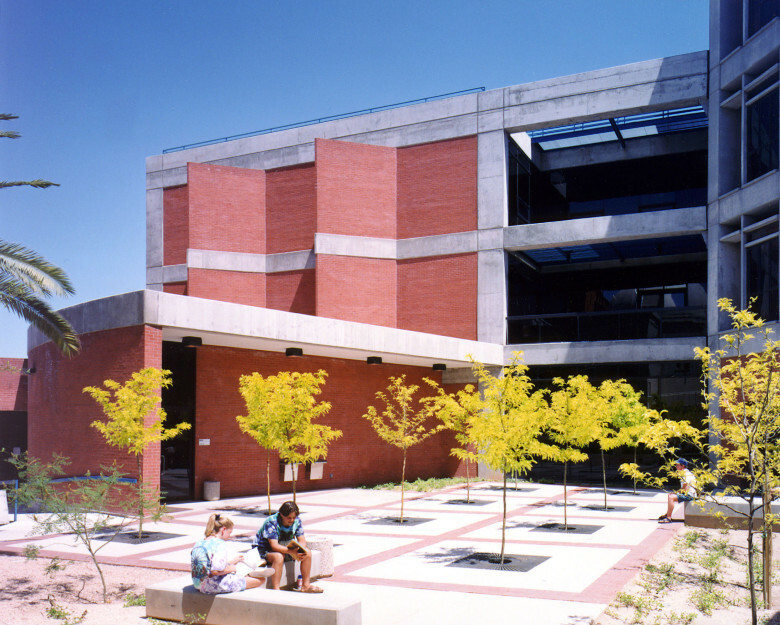 This 37,000 SF addition to the Steward Observatory complex on the University of Arizona Campus housing several research labs including electronic labs, and optical labs for various astronomy research functions as well as a Class 1000 and a Class 100,000 Clean Rooms, administrative offices for Steward Observatory and the Department of Astronomy. The addition also contains a 240 seat state-of-the-art lecture theater, and library. Laboratories in the environmentally controlled core of the building are surrounded by offices enclosed by a glazed perimeter skin. A more recent addition, also designed by Swaim Associates, provides a fifth floor for additional faculty offices.